NASA's Cassini spacecraft survived its first-ever dive through the narrow gap between Saturn and its rings on Wednesday, April 26, 2017, and is back in contact with Earth. 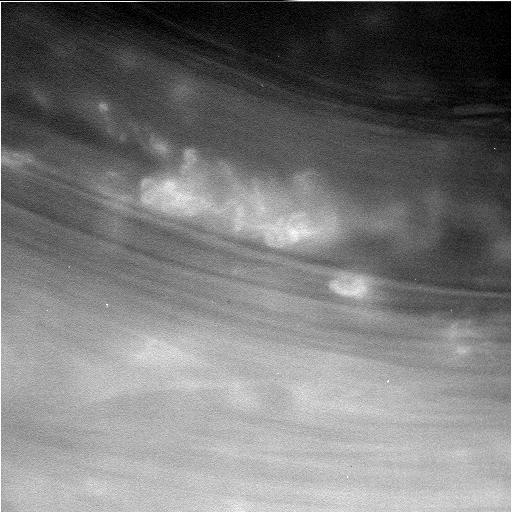 Cassini is now in the process of beaming back science and engineering data collected during its passage. NASA's Deep Space Network Goldstone Complex in California's Mojave Desert acquired Cassini's signal at 12:56 a.m. EDT on April 27 and data began flowing at 3:01 a.m. EDT. 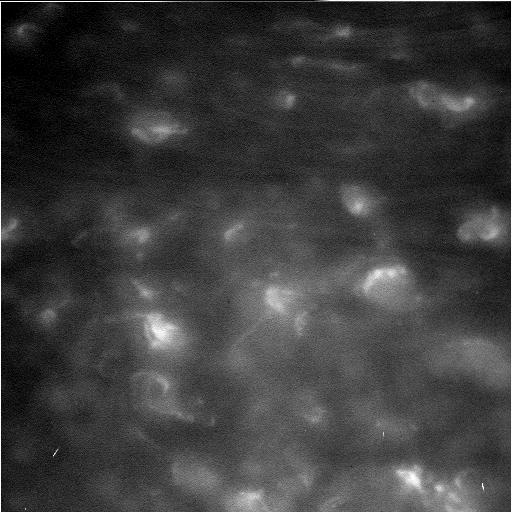 The three images below are the first released by NASA that were beamed back from Cassini today which show features in Saturn's atmosphere from closer than ever before. The images are raw and unprocessed. While NASA scientists were confident Cassini would pass through the gap successfully, they took extra precautions with this first dive because the region had never been explored. 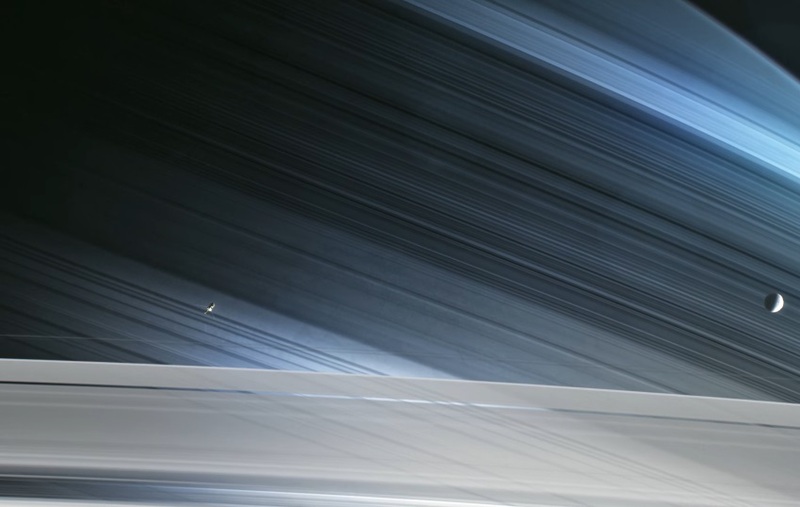 The gap between the rings and the top of Saturn's atmosphere is about 1,500 miles (2,000 kilometers) wide. 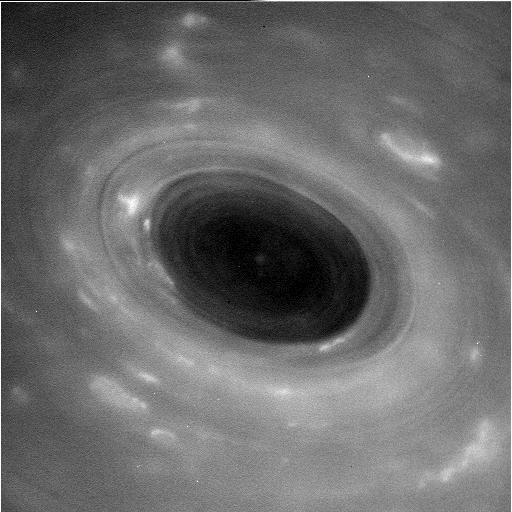 The best models for the region suggested that if there were ring particles in the area where Cassini crossed the ring plane, they would be tiny, on the scale of smoke particles. The spacecraft zipped through this region at speeds of about 77,000 mph (124,000 kph) relative to the planet, so small particles hitting a sensitive area could potentially have disabled the spacecraft. As a protective measure, the spacecraft used its large, dish-shaped high-gain antenna (13 feet or 4 meters across) as a shield, orienting it in the direction of oncoming ring particles. This meant that the spacecraft was out of contact with Earth during the ring-plane crossing, which took place at 5 a.m. EDT on April 26. Cassini was programmed to collect science data while close to the planet and turn toward Earth to make contact about 20 hours after the crossing. This is the first of 22 orbits that pass between the planet and its rings, ending with a fiery plunge into Saturn on September 15, 2017. Cassini's next dive through the gap is scheduled for May 2.